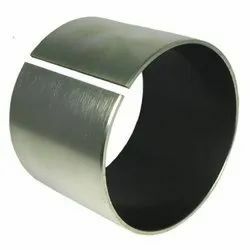 We are providing Metal Bush to our clients. With a firm commitment to quality, we are involved in offering a wide ambit of Bushing Nut. We have marked a distinct and dynamic position in the market by manufacturing a quality assured array of Metal Bush. Owing to our sophisticated manufacturing facilities, we fabricate superior quality Metal Bonded Rubber Bearing Bush to our esteemed clients. These bushes are available in both ferrous and non-ferrous metals and offer high performance. 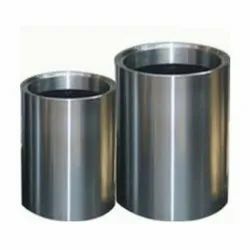 Our range of bearing bush are extensively used in submersible pumps, automobiles, and FHP motors. This Sleeve Bushes is ideally suited where space is limited and no projection is allowed. However, further work of Honing or Lapping is necessary as the bore shall shrink due to pres fit.